Fintan is the founder / owner of Invotra. He has a passion for delivery and keeping things focussed and connected. With over 25 years in enterprise technology he has a vast array of knowledge in getting large scales systems developed and deployed out to the people that count. 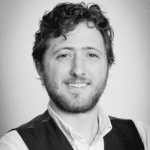 Jonnie is the co-founder of Invotra. 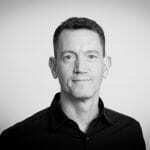 Over the past 20 years he has worked for organisations such as T-Mobile, Bank of Ireland and TUI, where he was responsible for the development of a range of complex systems. Other systems he has developed include MMS Gateway’s, Cobol to Java Bridge and B2B Fruit Trading. 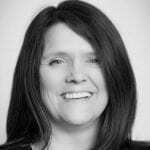 A co-founder of Invotra, Alison has been Invotra’s Financial Director since its incorporation 10 years ago, and played a integral role in successfully growing the company. 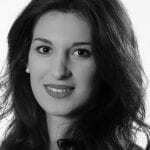 She is responsible for the daily operations of the business and uses her multi-sector experience to provide much needed skills in management and business. Alison is also responsible for driving the successful apprenticeship program within the company. 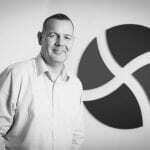 Paul is a co-founder of Invotra, and has been at the forefront of the UK ecommerce and Internet economy since he joined Amazon in 1999. Having served Amazon, Play.com, Firebox and a host of other e commerce companies, he has a strong understanding of what it takes to build consumer-centric platforms and companies. He also, like everyone at Invotra, has great legs. 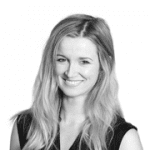 A co-founder of Invotra, Sinead has been with Invotra since 2011 and takes pride in firmly bridging the gap between the client & tech over the years, forming strong professional relationships as a result whilst focusing on engagement & user experience adding value and being innovative at all times. In 2016, after almost 9 years in the UK, she relocated to the US with Invotra. She’s beginning to wonder if there’s gypsy blood in there somewhere…. 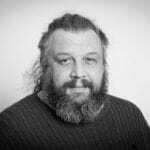 John has been with Invotra for many years and is the lead architect on all Drupal work. John is a former member of the Drupal.org Security Team and well known within the Drupal community as one of the highest quality Drupal coders in the world. He is obsessive about the quality of code that we deliver. Mireille started her career as a software engineer on Air Traffic Control systems in Thales. 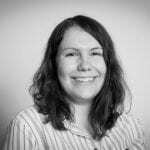 Since then she’s worked on several defence and government large-scale systems in Logica (now CGI), first as a software engineer, then as team leader, development manager and project manager. After a few years’ break to follow her husband in Houston, Texas and raise her children, she joined Invotra in March 2016 and is very excited to work in such a friendly, fast moving environment on a product that is used everyday by tens of thousands of users. 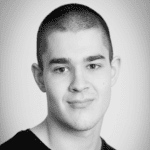 Luke joined in 2012 as an apprentice software developer. During the course of his apprenticeship, he worked with the development/project teams to deliver enterprise websites built on a Drupal platform. Upon completion of his apprenticeship, he has been involved in technical analysis and implementation. Luke has now progressed on to undertaking a Level 4 Cyber Security Technologist apprenticeship, which makes perfect sense given his passion for cyber security. Programmer, designer, systems manager, blended with a systems architect and a dollop of a researcher. Worked in both the industry and academia, with more than 20 years of experience. A drupal grey-beard. Lindsay supports the technical team deliver world class enterprise software. 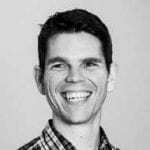 With experience in Silicon Valley working at startups, and non-profit work with the likes of CoderDojo, Lindsay’s breadth of experience helps him to understand some of the complex business challenges we deal with to support our customers. A believer in the power of social and digital workplaces to change the world of business, he makes a mean vegan smoothie, never misses one of our infamous Invotra social gatherings and sometimes spends a weekend sailing with the other members of the team. 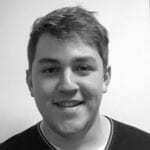 Billy started at Invotra in 2011 as an apprentice, joining as a software developer. He quickly realised, with Fin’s help, that he wasn’t a software developer; although officially a contributor to Drupal 8. He then went down the consulting route and never looked back, gaining rapid knowledge in Drupal and sitebuilding. 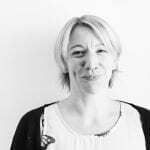 With over 15 years of experience running the finances for a number of SME’s, Erica has joined the Invotra team to take over the day to day running of the accounts. She enjoys bringing her expertise in advising and implementing appropriate internal financial controls to Invotra. Believing that 50 is the new 30, she has thrown herself into a number of physical and psychological challenges this year and looks forward to adding table tennis to her skill set! 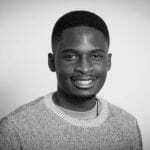 Nqobile joined Invotra in May 2011 as a Software Developer Apprentice. He soon found that he was not a Software Developer and more of a Sys Admin. He still finds himself getting involved in some non Sys Admin work i.e Drupal related tasks which has lead to him being a Technical Services Manager. Meaning he has knowledge in two areas that are essential for getting new features and projects live. Jamie initially joined Invotra as a software developer back in 2013. His strong technical acumen, coupled with his outgoing and personable nature means that he is a perfect fit in his role as Key Accounts Manager. His accounts include the Home Office, DWP, DfT, HMRC and Sierra Club. He is genuinely passionate about Invotra and takes pride in ensuring all users are fully equipped with the knowledge required to use the platform efficiently, and to maximum benefit. Steph joined Invotra from a background in education. She began her career teaching English as a Foreign Language then spent 8 years teaching teenagers history in a secondary school. After a career break to raise her young children and a short spell as a childminder shaping very young minds, she is excited to be coming back to the adult world! She is keen to use her skills to help everyone at Invotra, and our customers, to access, understand and enjoy using our product and get the most out of our digital workspace. A Graduate of an MSc. in Project Management from Michael Smurfit Graduate Business School UCD. Recently she has completed projects in conjunction with IBM, Marie Keating Foundation and LiveMon a South African environmental monitoring firm. 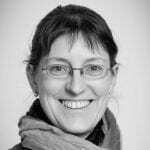 In the last 4 months Rachael also completed a case study on Agile implementation in the technology SME environment. 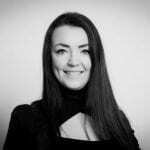 Rachael came to Invotra because she was attracted by our innovative and forward thinking environment and the ambition to become the largest provider of intranets. Chelsea joined Invotra in June 2013 as a Networking apprentice. She was a natural fit within QA and soon after joining the team, she went on to become Test Manager. Four years on, Chelsea has continued to strive forward and has now progressed into the technical services team, after making the decision to undergo a new apprenticeship programme in Cyber Security. As Invotra’s first Cyber Security apprentice, her keen interest in Cyber Security and System Admin makes her a perfect fit for our DevOps team. Chelsea was recently crowned ‘Newcomer of the Year’ at the Cyber Security Awards 2018. Find out more about her award and the work Chelsea does at Invotra. 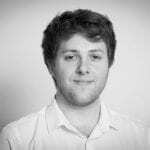 Edward joined Invotra in 2015 having studied various aspects of computing at university. He joined as a Software Developer apprentice and progressed into the Development Operations team. Following this, Edward moved departments and became a Technical Account Manager. 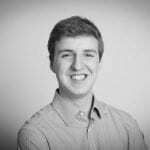 Within this role, Edward is responsible for ensuring that technical onboarding and integrations run seamlessly. He also makes sure that our customers have the best technical support at all times. Ed is an avid sailor, spending most weekends taking to the high seas, often volunteering his time to provide young people with a fantastic opportunity to develop their life skills. Andrew recently gained A-level qualifications including computer science but decided to take a more practical route to work through an apprenticeship. With no prior experience in the IT industry other than his A-Level, he started his career in Software Development before moving into our product team. He’s fast become our in-house expert on accessibility, and recently won Apprentice of the Year at the SME National Business Awards. Max joined Invotra in 2015 as an apprentice having worked in various other industries beforehand. 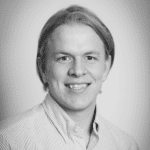 He studied Software Development which naturally placed him into our QA team. 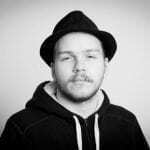 Since then Max has increased his knowledge for coding and now works in our Development team as a Front End Developer. 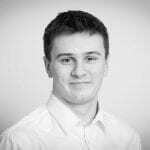 John joined Invotra in our Newcastle office, after studying computing at Northumbria University. A graduate developer, he undertook training at Invotra to get a better understanding of the Drupal platform, while also building on the development skills he gained in university. John began his role at Invotra as part of our QA team, but is now doing great work as a developer. Brendan has spent over 15 years working with large retail, luxury property, corporate and automotive brands. 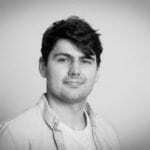 Having made the transition from ink and paper to screen and pixels, Brendan now works closely with the Product design, Marketing and Training teams applying UI and visual design skills and principals to produce engaging user experiences and effective communication. He also acts as guardian of the visual brand identity and ensure all creative output across all channels adhere to the brand guidelines. Ross left college in the summer of 2015 after studying media, history and personal finance. He joined Invotra in Jan 2016 as an Apprentice Project Manager. It’s the stepping stone he needed to enter the working world, while gaining a qualification and experience. He aims to complete his apprenticeship with flying colours while continuing to make a positive impact on the company and his work colleagues. Ross is also a qualified football referee. 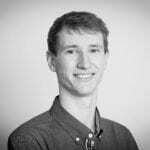 Ben started at Invotra in June 2016 as a software development apprentice and works in our testing team. He’s responsible for testing the latest improvements within Invotra as part of our regular release cycle. When he’s not testing, Ben is an avid gamer and regularly competes in tournaments. 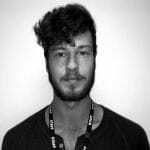 Ryan started at Invotra in October 2016 as a software development apprentice. He has now progressed to become a Junior Project Manager within the Live Services team. He’s responsible for managing several internal and external projects. When he’s not busy at work, Ryan is a competitive swimmer, competing at a national level! 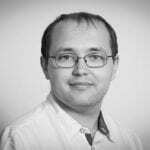 Before Dimitrije joined the company he was what you would call a ‘self-taught’ software developer. Looking for a route which would develop his industry experience, and allow him to progress more quickly than a university degree he undertook an apprenticeship with Invotra. 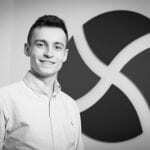 As a tester and software development apprentice, Dimitrije’s responsibilities include manual testing on release tasks, building out automated tests, and responding to client feedback. 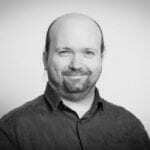 He also performs exploratory testing, particularly during integration and UAT stages, actively trying to find bugs, although his main focus is on finding regressions. 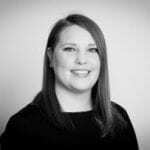 Lauren joined Invotra in April 2017 as a business coordinator after working for many years in non-profit and public sector organisations. When not working, Lauren enjoys all things Walking Dead related, including trying out new skills in special effects makeup and even got to meet Jeffrey Dean Morgan at the convention! 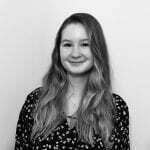 Ellen started in May 2017 as a Bookkeeping Assistant. She works closely with the Head Of Finance working on the day-to-day finances of the company. Ellen also takes on many admin tasks and is always around to lend a spare hand to anyone that needs it. 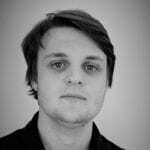 Jack started at Invotra in July 2017 as a software development apprentice and works in our testing team. He’s responsible for testing the latest improvements within Invotra as part of our regular release cycle. When he’s not testing, he likes playing his guitar and keeping up to date on current technology trends. Kyle joined Invotra in October 2017 and works on the Invotra helpdesk as the First Line Support Analyst. He studied Computer Science at Kingston University and takes pride in troubleshooting and solving problems. In his spare time, he enjoys building computers, gaming and playing golf on weekends. 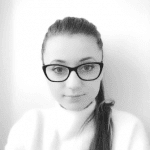 Bogdana joined Invotra in October 2014 having studied different aspects of computing at university. After a year of maternity leave she returned to Invotra in November 2017 and is now working part time in the testing team on the regular release cycle. When not testing she is a mom, wife and traveller. Shona recently finished sixth-form in June 2017, where she studied IT, math and chemistry. In November 2017 she joined Invotra as an apprentice software developer, starting off in the QA team and hopes to complete a cyber security degree and progress into a security based role within the company. In her spare time she enjoys video editing and creating digital art, as well as watching movies and TV shows. Phil left sixth-form in July 2017 after studying Chemistry, Psychology and Business Studies at A-Level. After quickly discovering the Chemical Engineering route wasn’t for him he taught himself HTML and CSS and gained a Web Design Specialist Diploma. 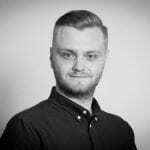 He joined the Invotra team in Newcastle in November 2017 as a Project Management Apprentice. Phil competed nationally in shot putt and is a school record holder for hammer throw. He is also an ex-rugby player but unfortunately had to retire due to too many injuries. 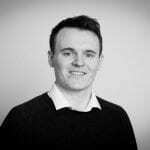 Niall joined Invotra in November 2017 as a software developer apprentice after following his gut to switch from studying chemical engineering. Focused to find a fresh start in the IT sector, he returned to his hometown of Newcastle upon Tyne. From there, his path led him to Invotra and he has never looked back. 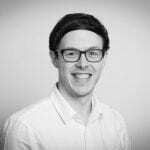 Joining the growing team in The Core in Newcastle, he is initially taking on a role in testing and will be involved in regular release cycles as part of a distributed workforce. 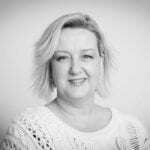 Lisa joined Invotra from a retail background within the automotive and home improvements sectors and has over 20 years Sales Support, Office Management and Marketing experience. As Executive Assistant, Lisa takes care of facilities and works closely with the HR Director and Head of Finance Accounts. 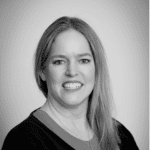 Kim joined the marketing team as a content writer for Invotra in 2018. Having previous writing experience, she is tasked with producing a range of content for the company. Kim is also responsible for providing input within the marketing team, constantly striving to raise Invotra’s profile. The Woking office will be a cleaner place now Kim has joined the team as she hates germs with a passion. She is set to be the office germaphobe! 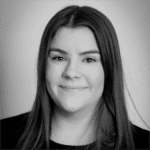 Joanna joined the Invotra team in 2018. She works within the Sales and Marketing team as a Sales Administrator. 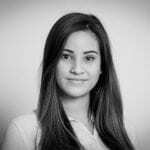 After gaining valuable experience working within public sector organisations, Joanna, who has an interest in all things tech, sought a career change to give her greater insights in to commerical and SaaS enterprises. Joanna has a Bachelor degree in Sociology and also has a keen interest in travel and photography. Her ambitious drive makes her a fantastic addition to the team. Jake finished sixth form in 2017 and went straight into an art foundation course. While undertaking his studies, he decided that he wanted to work somewhere he could implement his creative skills in a marketing format and decided to pursue a digital marketing apprenticeship. 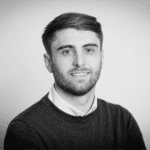 Jake joined the Invotra team in July 2018 as a Digital Marketing Apprentice so that he could grow his skills and gain first-hand experience at the same time. Once he completes his apprenticeship he hopes to continue to hone his skills and build a meaningful career by starting on the degree apprenticeship scheme that Invotra offers. Scott joined Invotra in July 2018 part way through his apprenticeship as his previous company were relocating. At college, he has studied forensics, chemistry and electronic engineering. Scott currently works in our QA team. 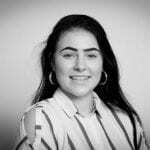 Georgia joined Invotra in November 2018 as a Live Service Apprentice Administrator, working towards a Level 3 apprentice in Business Administration. After finishing her A-Levels in 2017 studying History, Psychology and Graphic Design, she took a year out to run her own dog walking business. She also volunteers for the Guide Dogs for the Blind Association and has helped raise a pup Mary who is now a working Guide Dog. Alex has recently started her transition from the graphic design world to software development. She is excited to have joined Invotra as a junior Front End Developer. 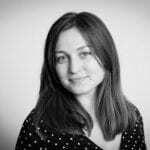 Once she has been through the QA testing steps Alex is keen to contribute to the evolution of the product with the latest technology like React.js.